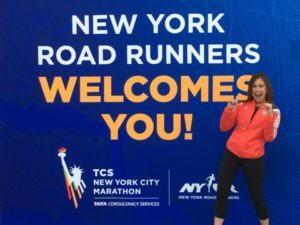 The TCS New York City Marathon is an annual marathon held on the first Sunday in November and runs through the five boroughs of New York City. It is the largest marathon in the world with over 52,000 finishers in 2018. Every year 100,000 enter the lottery hoping to get a coveted spot. 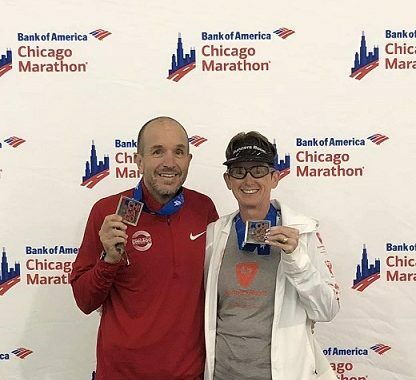 I, Mary, was blessed to have a spot in this year’s marathon and feel one person can’t even fully describe the experience. Therefore, I thought it would be fun to hear a few different perspectives on this year’s marathon. Christine: I got in 3 times guaranteed entry due to half marathon time. 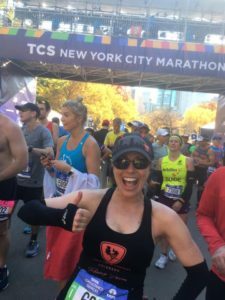 The first times I ran it was lottery with a VIP pass because my friend was writing an article for Runner’s World covering the Marathon. The 4th time I ran due to peer pressure! I wanted my daughter and granddaughter to see me on the course as they live there (and are moving soon to Texas). Hilary: For the past 4 years, my goal has been to run the six Abbott World Major Marathons. Chicago, Boston, and Berlin were fairly easy to get into. Tokyo is scheduled for 2019 and, fingers crossed, London in 2020. But, the New York City Marathon has long eluded me. After years of trying and failing to get a spot in the lottery, I decided I needed to run a qualifying time. So, I traveled to Tucson determined to run a sub 1:37 Half Marathon in the 2017 Revel Mt. Lemmon Half. 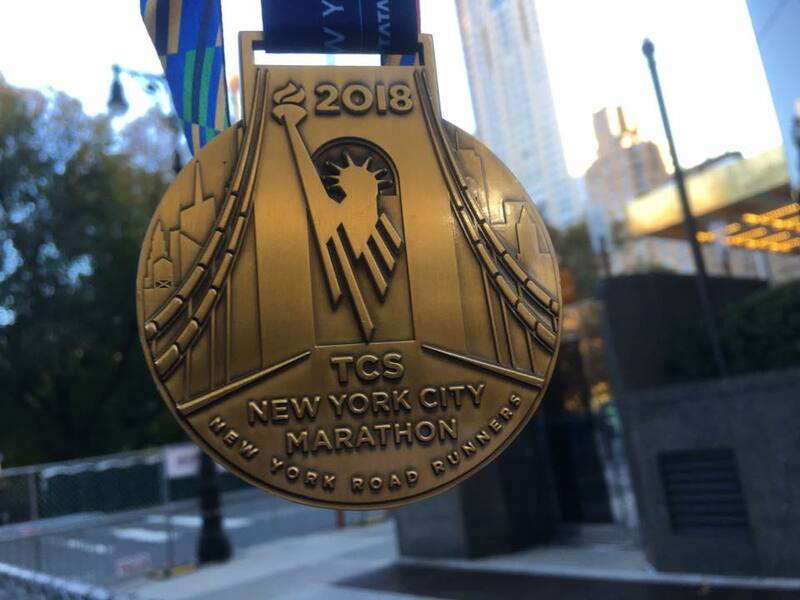 I blew that goal away with a 1:31 finish and clinched a guaranteed spot in the 2018 TCS New York City Marathon. Mary: I was not fast enough to qualify. I planned to enter the lottery every year until I got in, and happened to get lucky the first time. 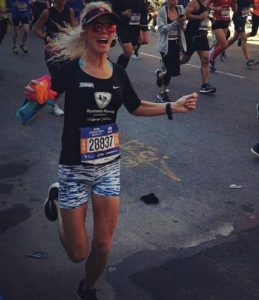 The idea of NYC excited me after I had been struggling with the decision to keep running marathons. I love Broadway, exploring new places, and couldn’t wait to see the city in the fall. And I wanted to find out for myself if this race was everything everyone says it is. Hilary: Within days of the half marathon in 2017, I started hunting for a hotel room in Manhattan. My key criteria for every race: multiple beds, easy access to the subway, mini fridge in the room, and no requirement to pay for the room in advance. 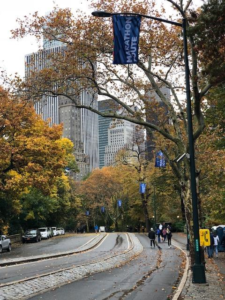 I found a suitable spot with good reviews in Midtown, within blocks of the NYC Public Library (marathon bus pickup) and a mile from the Jacob K. Javits Convention Center (marathon expo). While not a host hotel or anything fancy, I did save a few dimes and were in prime location for our time in NYC. Mary: It was important for me to be as close to the finish line as possible. No one wants a long walk or ride after a marathon. I actually Air BnB’d for the first time as the host hotels were super pricey. 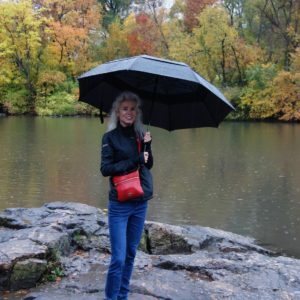 I managed to find a quaint studio 1 mile from Central Park. It was perfect! I was in Hell’s Kitchen, a few blocks from Times Square and a subway stop. 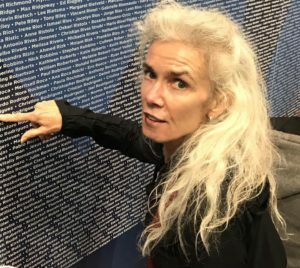 Christine: Since I arrived in New York on Thursday evening I went to the Expo at the Jacob Javits Convention Center late Friday morning. It was incredibly well organized. 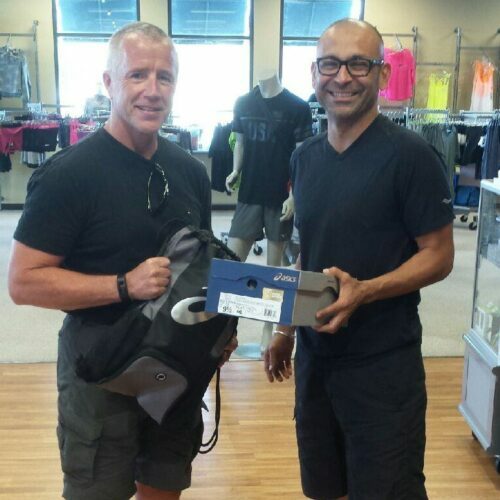 Runners were able to try on shirts in all sizes to make sure they got the right fit. This years finisher’s shirt was one of the more attractive shirts I’ve received running NYC Marathon. (I’ve run it 3 times prior) They had a vast array of race related running apparel and gifts. They also had many fun free items there such as sunglasses, cowbells and Statue of Liberty hats. Making my way towards exit I found my name on the wall of over 50,000 runners. 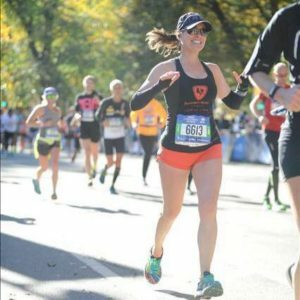 I wasn’t the only Christine Rodriguez running the marathon! Hilary: Pro Tip – Go Early! In both Berlin and Boston, my schedule required attending the expo in the afternoon on day 2 or day 3. I was so crammed both times that I ended up getting my race packet and only visiting my favorite booths before scurrying to safety. So, this time, I was determined to avoid the crowds. The expo opened on Thursday at 10 AM and I was patiently waiting outside for the doors to open. I had my race packet and shirt within minutes and then could enjoy every booth at leisure. Christine: I highly recommend taking the ferry from Battery Park to Staten Island for the start. 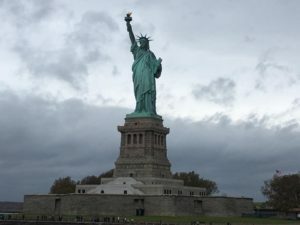 Statue of Liberty and Ellis Island are amazing sites you get to see along the way! The first year I ran the marathon I took the bus and it wasn’t as much fun. We had to go through security once off the buses. In lieu of checking in a bag I opted for the race poncho at the finish. I discarded my throw away clothes in one of many of the Goodwill bins they had placed through the village. Thought that was a cool idea! I was so impressed with how organized all the corrals and waves were, in colors and numbers according to your stated finish time. 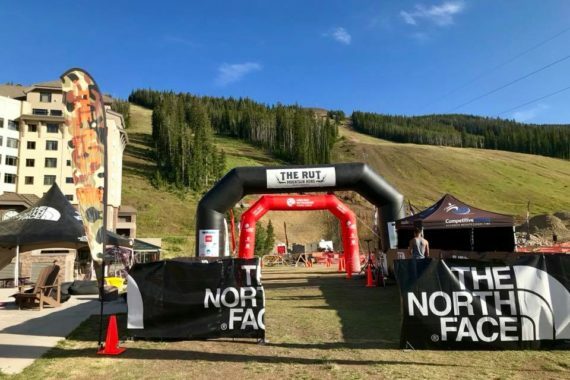 FUN FACT: there are porta-pots in the race corrals so no need to stress if you don’t have time to find a bathroom before entering your corral! Hilary: I am usually a ball of nerves on the morning of a marathon, but this time, my 18th, I was oddly calm. This summer, when we had to select how to get to the start line in Staten Island, I chose the 6 AM bus from midtown (mere blocks from my hotel). After two marathons in cold, rainy weather, I also chose to check a bag, rather than getting a poncho at the finish. Bus travel was listed as 90 minutes and I needed to check my gear bag by 8:20 AM. Plenty of time! (Or so I thought!) I headed out at 5:30, arriving at the buses at 5:40, finding the longest line ever. I was on the comfy, heated bus at 6:14 AM. Unfortunately, we were not let out until 8:20 AM and security was packed with thousands of antsy runners. I panicked slightly, made it through security, and then frantically ran towards the green village gear check. So Pro Tip: if you are in the first wave and decide to take the bus, don’t check a bag! I made it into Green Corral B in time for the 9:25 cutoff, and delightedly found a bank of clean porta-pots. 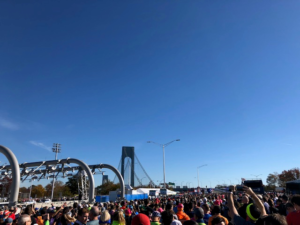 I had a few minutes to find my earlier calm before moving down to the start line (mine at the lower deck of the Verrazzano-Narrows Bridge) and waiting for the cannon to go off at 9:50, signaling the start of the race. Mary: The level of security and organization at Athlete’s Village blew my mind. 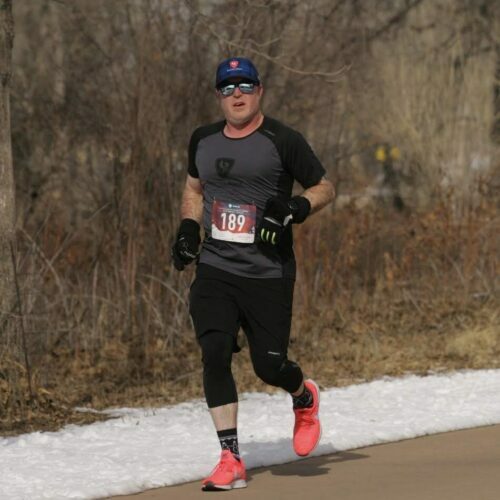 I had opted out of the drop bag so I picked up some warm clothes at Goodwill to shed at the start line. Getting to the race was a breeze for me but I would recommend choosing your transportation option the day it opens. Be prepared for the cannon which is shot with every start. The first time it went off, I felt the color drain from my face and everyone around me ducked. I arrived in Athlete’s Village at 6:45am (loading a bus at 5:15am) and didn’t start running until 10:15am, so definitely bring some snacks or your usual breakfast with you. There are 3 different start lines with 4 waves in each. Reaching the start line took 10 minutes after my corral and wave officially started, but New York New York playing over as we inched toward the bridge was electrifying. 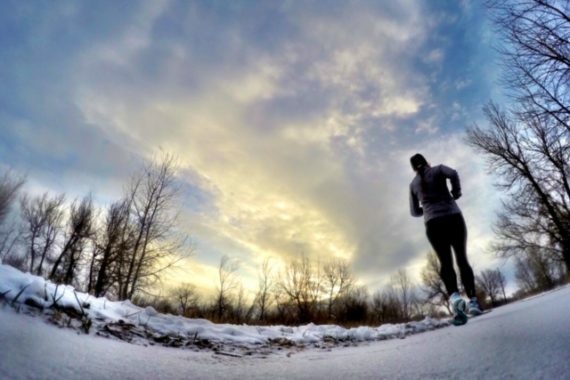 Christine: We were blessed with ideal running weather! 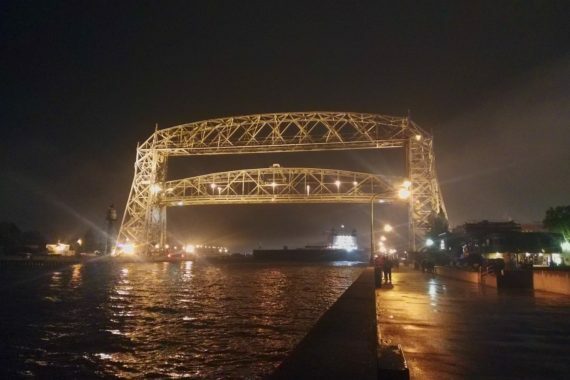 Sunny with a high of 56. Standing on top of the Verrazzano-Narrows Bridge leading into Brooklyn was breathtaking! Loved hearing Frank Sinatra’s New York and Alicia Keys York after the cannon went off and we crossed the start line! Definitely sets the mood! Before leaving Brooklyn I recognized Ultra-runner, Scott Jurek on the course. He was leading a blind runner! How cool is that!? I said hello and told him I was from the Denver area. He was super nice. I think the most difficult leg of the marathon was crossing the Queensboro Bridge around mile 15 to 16. The crowds however were deafening when coming off Queensboro bridge at mile 16 into Manhattan’s 1st Ave. There wasn’t any type of gels on course until mile 18. There was water and Gatorade at every mile after mile 3. Fortunately I reviewed the info on course amenities and carried some extra gels. I had to make two potty stops but since they were available at every mile starting at mile 3 it didn’t present an issue. I must say that the crowds were like no other! There is no need for headphones with the cheering plus music and bands all along the course! When we started getting close to entering Central Park, around mile 24, the crowds got even louder! Music followed with lots of excitement to get us through the rolling hills to the finish. 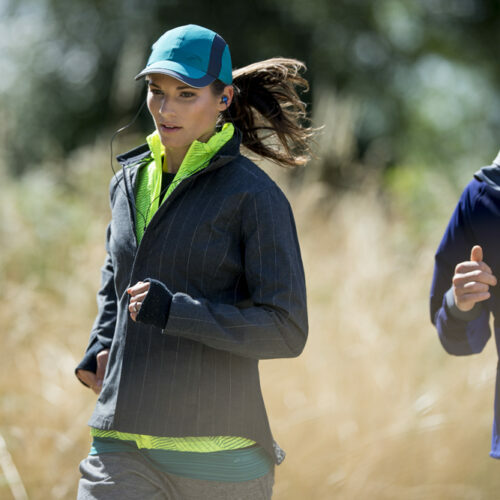 Hilary: Running with 52,000 other people can be a challenge, so I focused on the course. Running through 5 boroughs gave plenty of change in scenery, there were just enough hills, the bridges weren’t so bad, and the crown support was amazing. Who knew Brooklyn was that long?! Even that long, steady uphill on First Avenue in Manhattan wasn’t so bad. (The NYFD in the Bronx certainly made that climb worth it!) Back in Manhattan, I couldn’t wait to get into Central Park. I felt like watching the numbered streets during the miles in Manhattan were like being on a treadmill. 108. 107. 106. All knowing that 59th was the edge of Central Park. The path of the park was lined with spectators. Beautiful autumn leaves hung overhead. Before I knew it, a sign signaled 200 meters to go, and I could hear a dull roar from the grandstands. So, I kicked it into gear, heard my name announced, and crossed the finish line with a giant smile on my face. Four Abbott World Major stars earned and only 2 to go! 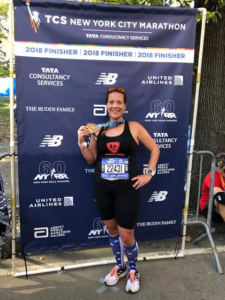 Mary: Running over the Verrazzano-Narrows Bridge in the beginning was the only silent part of the race, with a gorgeous view of Manhattan in the distance. Immediately runners were stopping to get photos. Words can’t even describe how many people are 52,000. It was hard to get a consistent stride as my feet got tangled with others quite a few times, not to mention some elbows. 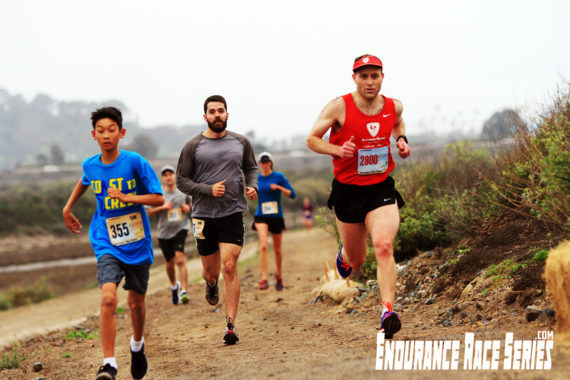 There is a point on the course at mile 8 when the waves merge together (after being on a slightly different course since the start) that felt like hitting a wall. The water stops were challenging to duck in and out of with all the runners and road covered in slippery cups. However, you can float away with the crowd once you let these things go. This is a race to just soak in and be a part of. There was a choir singing and dancing on the steps of their old stone church in Brooklyn, spectators hanging out of the windows in Queens waving flags and cheering, running through confetti in Harlem, crowds 5 people deep in Manhattan, and the stunning trees and roars in Central Park. You truly feel like a rock star the entire time. Christine: All finishers were made to feel like celebrities! The race medals were gorgeous. Volunteers with warming blankets and food bags lined the finish area. Most finishers were smiling. Some were having trouble with cramps but there were plenty of medical volunteers helping runners. Soon I exited the finish area, making my way to pick up my post race poncho. You only get the poncho if your forego a drop bag, and it is definitely worth it! The poncho is long and thick, fleece lined with a hood, and logoed. A volunteer wraps it around you right away and you don’t have to walk a mile to get to your drop bag. Hilary: Thank goodness I checked that bag! I needed my warm clothes and my legs needed the long walk to pick up my gear bag to work each cramp out. (Followed by a long walk back to midtown, but what’s an extra couple miles of walking after running 26.2?!). Walking was easier than trying to get on the very crowded subway filling up with finishers and their families. 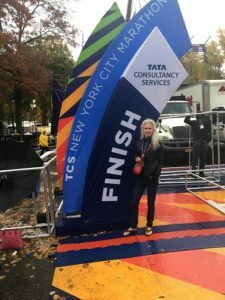 The family meeting area was very easy, lots of room to find loved ones, and even photographers taking photos of runners with their proud supporters, now officially TCS New York City Marathon Finishers. Hilary: Buy a ticket for the grand stand! It is only $50, with guaranteed seating, and access to restrooms. Plus, it is only a short walk from Columbus Circle. My Mom and #1 Cheerleader says it was a great experience. Christine: My daughter, son in-law, and granddaughter live in Brooklyn and planned to be at mile 9. I was so excited to see them!! They planned on being on the right side of street and sure enough right past the 9 mile marker there they were holding up a sign and cheering for me! I stopped to give them hugs and my granddaughter a big kiss! That energized me to get to the finish. 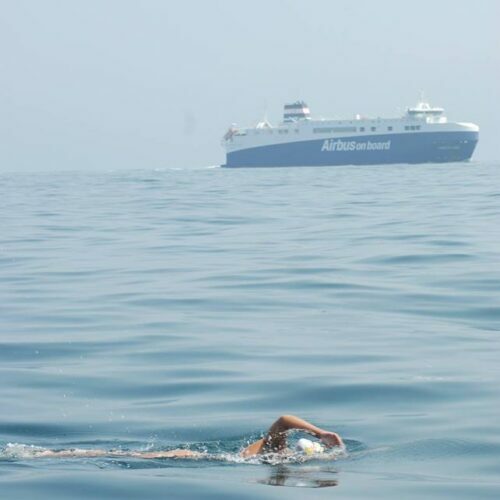 Mary: My mom and daughter were at the finish line, and we unfortunately never saw each other. I ended up on the wrong side of the road. My tip would be to know exactly where your spectators are going to be so that doesn’t happen to you! I saw supporters with large balloons or other creative ways to make sure their loved ones saw them, and I loved those ideas. Hilary: I am a huge fan of turning a race weekend into a vacation. And with so many things to in New York City, I decided to skip the pre-race 5K. 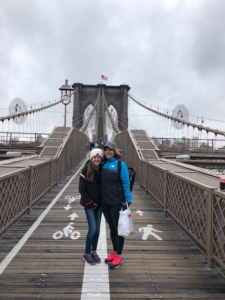 Instead, in early 2018, my personal cheerleader and travel partner (Mom) and I started making our list of what we wanted to see and do in NYC. We settled on three things: shopping, Broadway show, and the Statue of Liberty/Ellis Island. 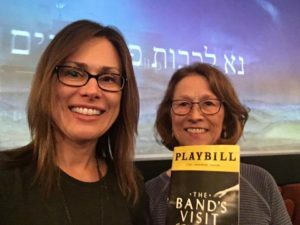 We snagged tickets to see The Band’s Visit (winner of 10 Tony awards, including Best Musical) in March. In June, we got our tickets to see the Statue of Liberty and Ellis Island (including a trek up to the crown). Pro-tip: do NOT climb 377 steps two days before a marathon! Talk about quad burn out! Mary: This is an epic race in an epic city. Explore it and have fun! 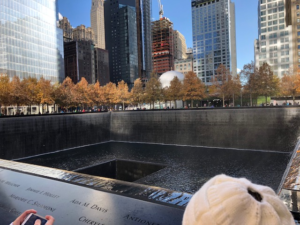 In 4 days, my family and I were able to see Central Park, Times Square, the 911 Memorial, a Broadway show, the Statue of Liberty, walk across the Brooklyn Bridge, eat at amazing restaurants, and do plenty of shopping. You don’t have to plan out your restaurants too seriously as there are outstanding places to eat on every corner. Brave the subway and get out there. If I can do it without losing my mom, than anyone can do it! Previous PostIt’s National Running Safety Month! 5 Tips to Stay Safe. Next PostShould You Run While Sick?